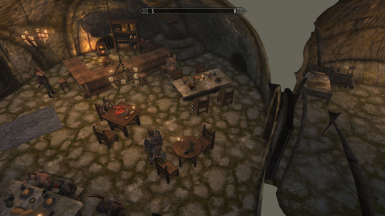 TITN is a work in progress mod and might have some bugs. Everything already in it is mosty done but overall the mod is only about 20% complete. The main focus will be completing The Crypt, adding things to steal, ways to steal and things to spend your mountain of gold on. 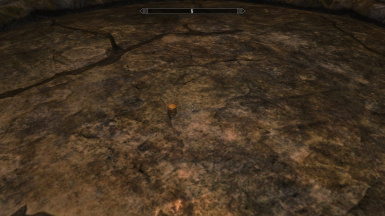 Originally part of Valkygg, The Crypt was sealed off when a tower collapsed. 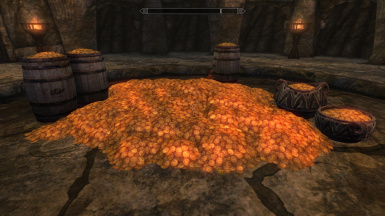 Now there are rumors that a thief has managed to dig his way in through an abandoned farmhouse. 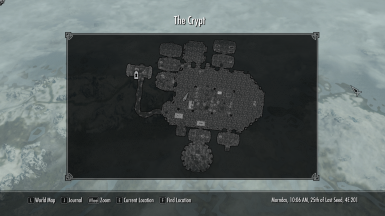 Find it to take over and found your own outlaw settlement. The crypt starts out small, just you and a couple of bandits but slowly grows as you invest gold until it's an underground criminal town. You'll find merchants, trainers, unique new services and all kinds of shady characters. As the crypt levels up you'll unlock new features, merchants and abilities. 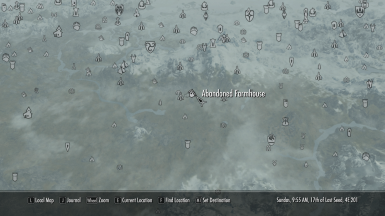 Find the farmhouse east of Hamvir's Rest, clear the draugr and leave. 24 hours later a couple a bandits will have arrived and set up your vault and account book, put some gold in the safe and enable investing in your account book to get started, then just check back every day to see the progress. 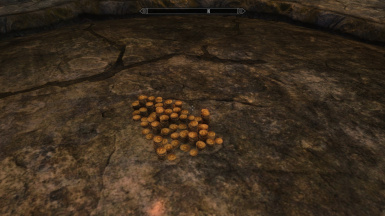 The gold you keep in your safe will appear in a coin pile in the center of the vault. 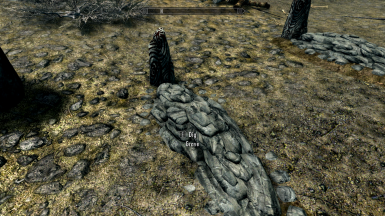 When the crypt gets to level 16, Dar'bassa shows up and starts to offer special services. For now he does one thing, horses. 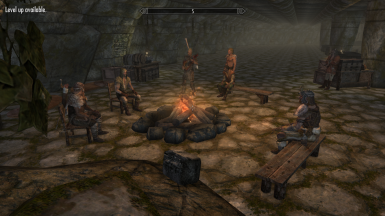 If you ride a stolen horse into the stable by the farmhouse you can sell it for 30% of its value or have Dar'bassa forge ownership papers for 50% of its value and make the horse yours. 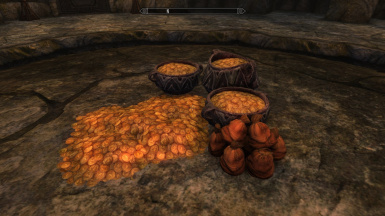 Due to recent incidents the bounty for stealing a horse has been raised to 1,000. If you've got a shovel and strong stomach you can dig up graves for a chance to find jewelry, divine amulets and bone meal. 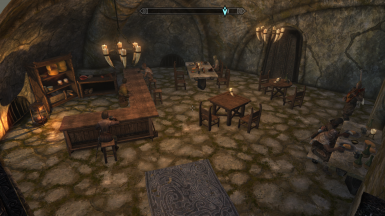 When the crypt gets to level 8, the alchemist opens for business and teaches you the recipe for sleep poison. It can be applied to weapons and puts humanoid targets to sleep for 1 minute. It doesn't work on people in combat or the undead. It takes 1 to 2 seconds to take effect based on the NPCs weight. When the NPC wakes up they'll be on alert and try to find out what happened. The NPCs level needs to be under your Alchemy Skill - 30 so it is ineffective until you get your alchemy over 30. 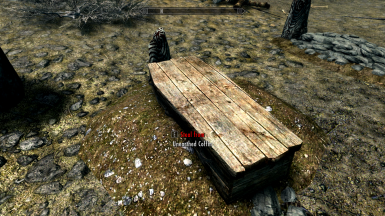 No more breaking into a wealthy family's home to find a wooden chest with 34 Septim. 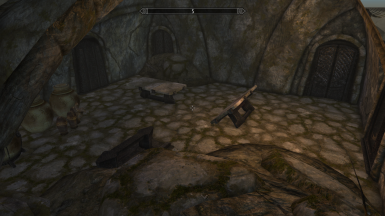 TITN adds about 50 safes of 4 tiers to appropriate residences and businesses across Skyrim. Lockpicks have been removed from most law-abiding citizens and merchants inventory. 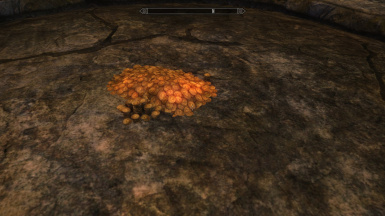 A crafting recipe has been added to the Smelter, it's unlocked with the second lockpicking perk (Apprentice Locks). Various types of lockpicks offering different advantages and disadvantages are planned.